Getting started, iOS 11.4 and macOS 10.13.5 must be installed to use Messages in iCloud. In short, Messages in iCloud does just what it sounds like. It stores all your messages, conversations, and attachments in the cloud, freeing up valuable space on your device. Especially when Apple continues to sell iPhones with minuscule amounts of base-model storage, every megabyte matters. With all messages stored in the cloud, it keeps all of your devices more in check than ever. Whenever a message is deleted on one device, it will be deleted from all devices. Same with an entire conversation. What's more, is that whenever a new device is set up, your entire messages history will be available from the get-go. Previously, you'd have to restore from a backup to get those messages. Many people have been forced to delete conversations, remove old messages, and trash large attachments to save a bit of space. We checked our own messages to see how much storage we had been using, and it turns out quite a bit. We don't remove old conversations and have accumulated over 36 GB of local storage over the years. Enabling Messages in iCloud is a straightforward affair. There are different processes depending on whether you are on your Mac or an iOS device. Start by opening the Settings app. Tap on your iCloud account. Toggle the switch next to Messages. Start by opening the Messages app. From the menu bar, open Preferences. Go the second tab, which is Accounts. Tick the box next to Enable Messages in iCloud. There are certainly limitations to this upgrade though, the biggest of which is the amount of iCloud storage used. Many people stick with the free plan, which is a mere 5 GB. That will certainly be insufficient, especially if iCloud Photos are turned on. Apple seriously needs to increase their base storage model on their storage plans. A small step forward was when Apple cut prices across the board. With any luck, we'll see an increase for all at WWDC. Additionally, the Apple Watch does not support Messages in iCloud. 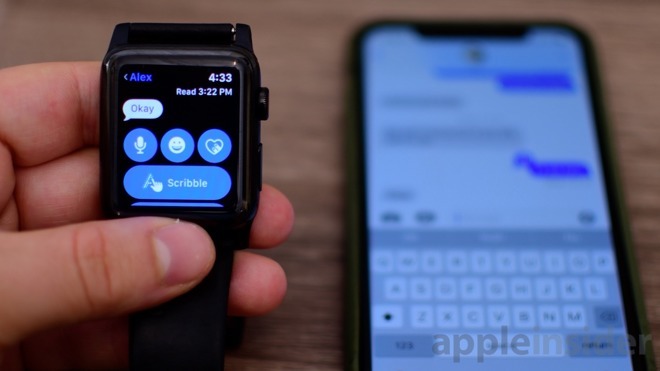 When a message or conversation is deleted on your watch, it does not get deleted on the other devices, and vice versa. Traditional text messages are also not included. 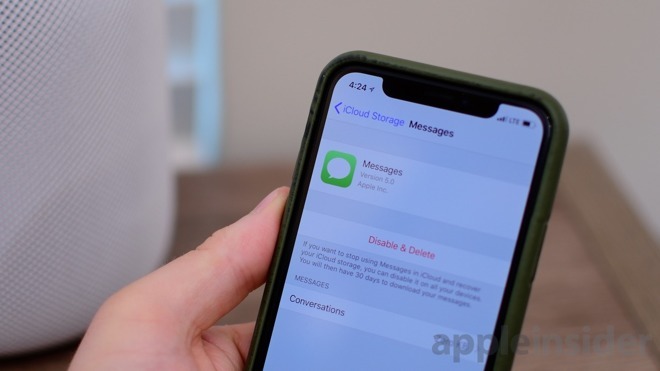 Any standard text, denoted by green in the Messages app, will not be uploaded to the cloud for synchronization —but will still be sent to all of your devices sharing the same Apple ID. So, if you delete it in one location, it won't delete automatically on all devices. Messages in iCloud was originally promised with the launch of iOS 11. It, alongside AirPlay 2, was present in early beta versions of iOS 11, but was stripped out and delayed significantly, arriving almost 9 months after they were originally promised. Finally, both have arrived just a few days before WWDC where the latest updates and features are set to be announced. We've tested Messages in iCloud for a while. Through all our trials, it works as advertised, significantly improving Apple's already great messaging platform.